Classical mereology is a formal theory of the part-whole relation, essentially involving a notion of mereological fusion, or sum. There are various different definitions of fusion in the literature, and various axiomatizations for classical mereology. Though the equivalence of the definitions of fusion is provable from axiom sets, the definitions are not logically equivalent, and, hence, are not inter-changeable when laying down the axioms. We examine the relations between the main definitions of fusion and correct some technical errors in prominent discussions of the axiomatization of mereology. We show the equivalence of four different ways to axiomatize classical mereology, using three different notions of fusion. 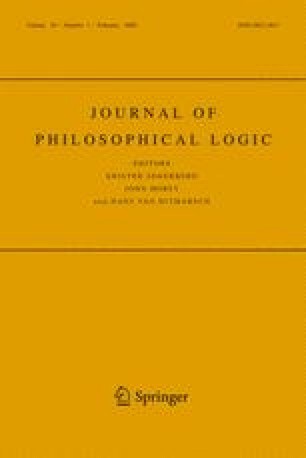 We also clarify the connection between classical mereology and complete Boolean algebra by giving two “neutral” axiom sets which can be supplemented by one or the other of two simple axioms to yield the full theories; one of these uses a notion of “strong complement” that helps explicate the connections between the theories. Varzi, A. (2004). Mereology. In E. N. Zalta (Ed. ), The stanford encyclopedia of philosophy ( fall 2004 edition). http://plato.stanford.edu/archives/fall2004/entries/mereology/.